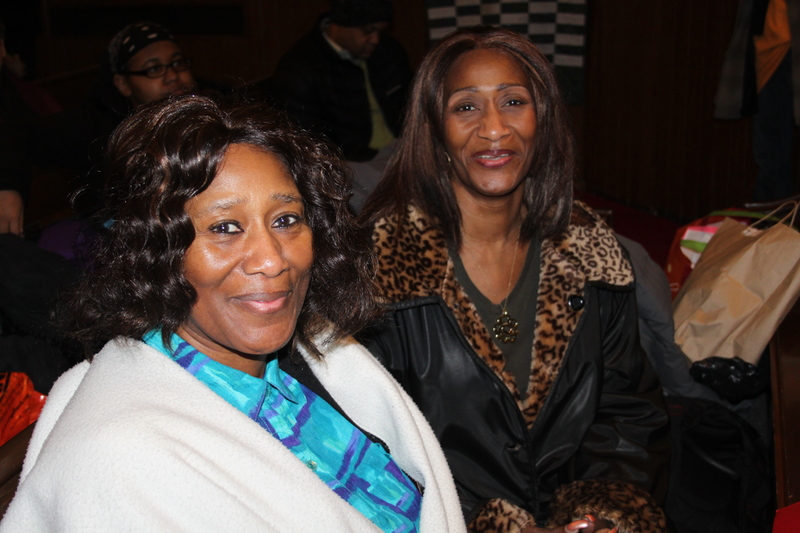 Posted in Uncategorized on November 28, 2015 by MLK Detroit. 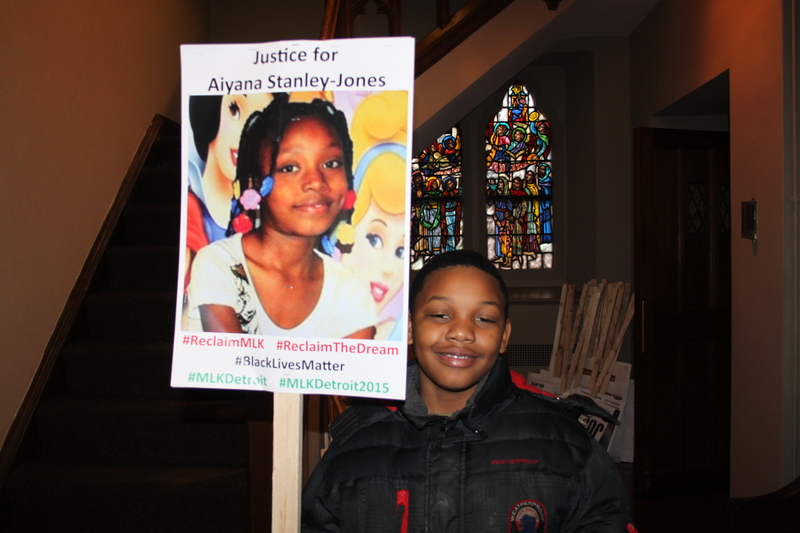 Hundreds of people filled Central United Methodist Church for MLK Day 2015! For Dr. King’s ‘Beloved Community’, please bring to the Church on MLK Day clothing donations of new hats, gloves, socks and underwear for the N.O.A.H. 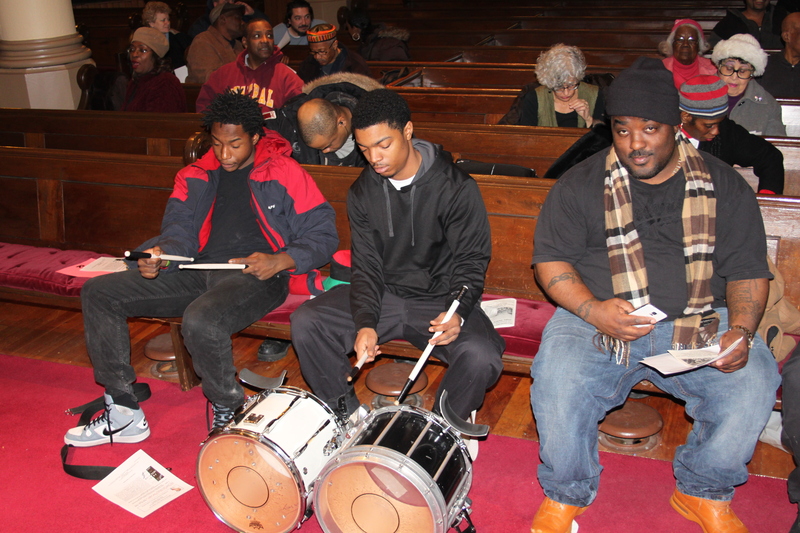 Program for the homeless. 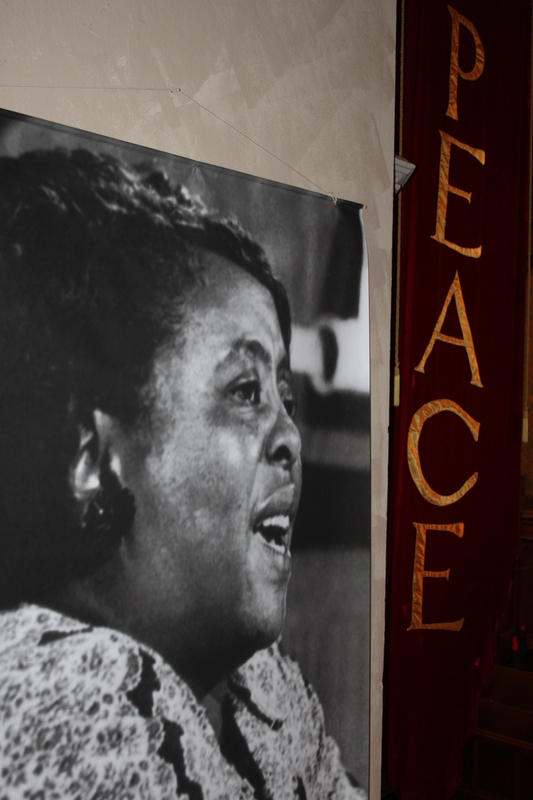 We are recognizing the valiant contributions of the struggle for voting rights by Dr. King, the founder of the Southern Christian Leadership Conference (SCLC), the Student Nonviolent Coordinating Committee (SNCC) and others who paved the way for the advances gained during the 1960s and 1970s. 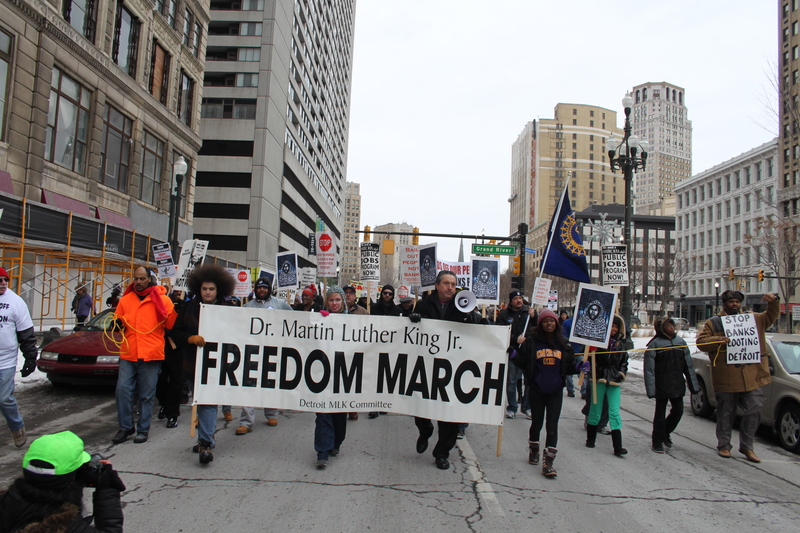 Nonetheless, today we are facing the most profound challenge to the status of civil rights, human rights and economic justice since the martyrdom of Dr. King in 1968.In the state of Michigan fundamental rights to a living wage, collective bargaining, municipal pensions and public services have been eroded. 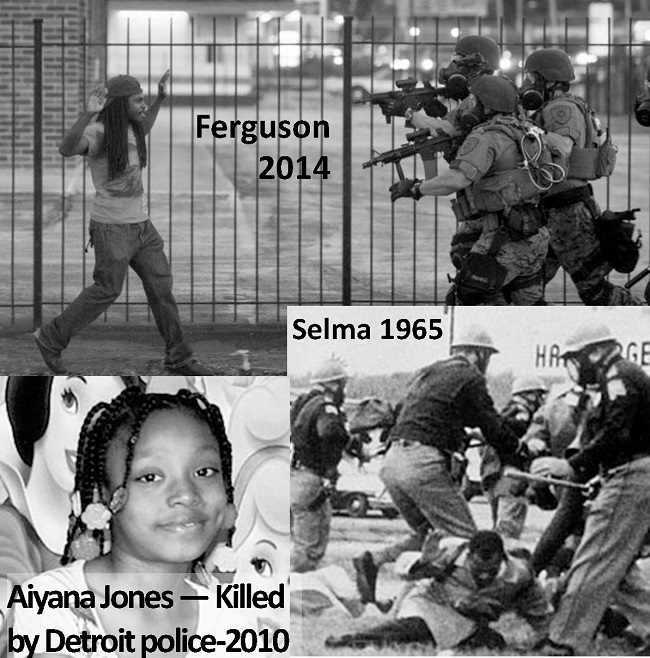 The situation in Ferguson, Missouri and Staten Island, New York illustrates the degree of racial unrest and social inequality in the U.S. People have responded in the tens of thousands through demonstrations and civil disobedience demanding justice for Michael Brown, Eric Garner, Tamir Rice and all victims of police brutality. Police misconduct and judicial impunity have been the social mechanisms used to transfer the largest sum of wealth in history from working people to the rich. Based upon the conditions we face and the need to build for the future, we have no other recourse except to follow the legacy of Dr. King in championing the plight of the poor and oppressed in their striving towards genuine equality and self-determination. The program for this year will include tributes to the late Retired Judge Claudia Morcom, U.S. Congressman John Conyers, Jr., the late General Baker, there will be representatives speaking on behalf of organizations involved in the struggle for water rights, housing, anti-racism, labor, environmental security and other issues. 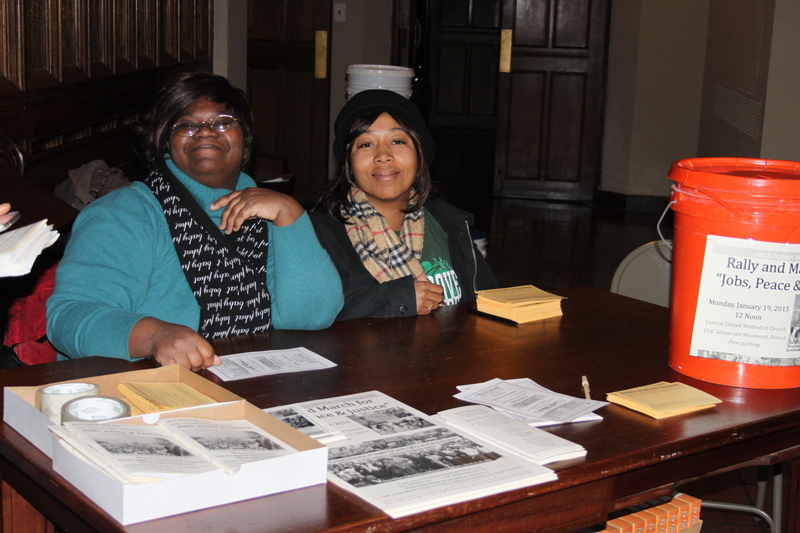 In addition, volunteers are needed at the actual event on Jan. 19. Please contact us if you are interested in assisting. Rev. 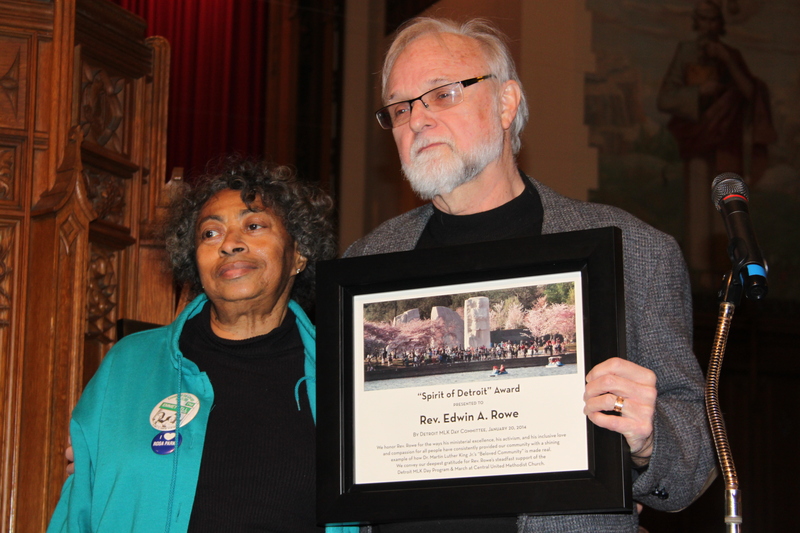 Ed Rowe receiving The spirit of Detroit Award. 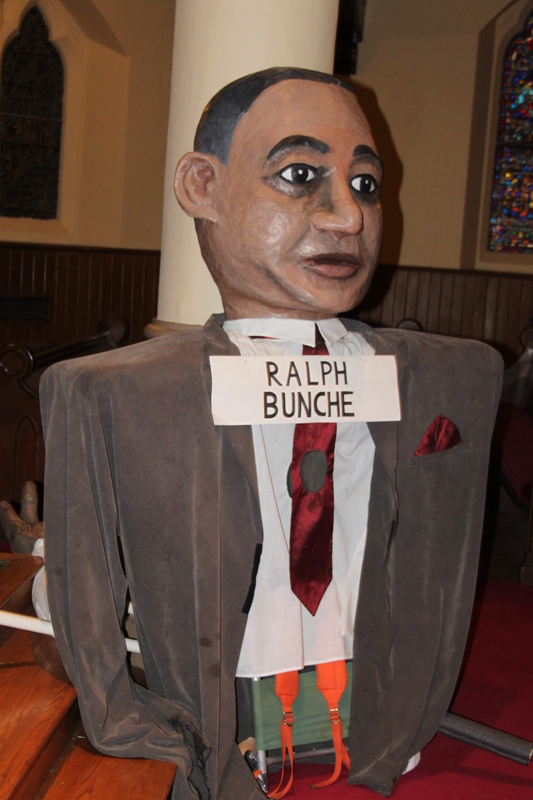 and his years of support with the Martin Luther King Committee. 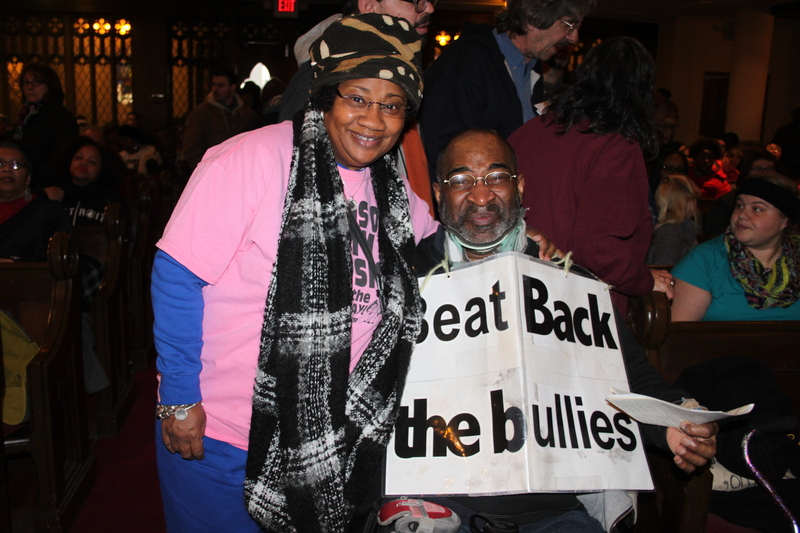 In our great city of Detroit, we are fighting to restore the right to be governed by elected leaders. The imposition of the unelected Emergency Manager has rolled back the historic gains of the 1960s. 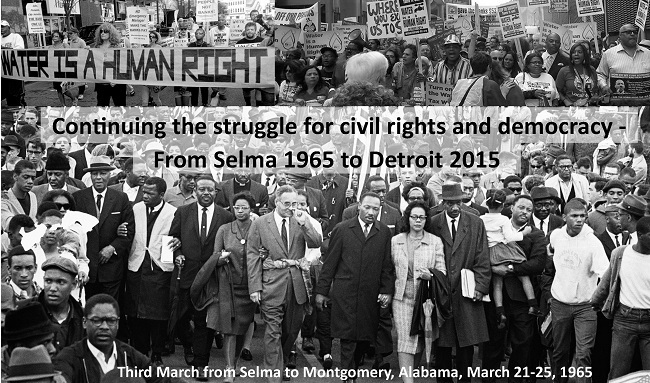 The struggle for democracy and economic justice continues today. 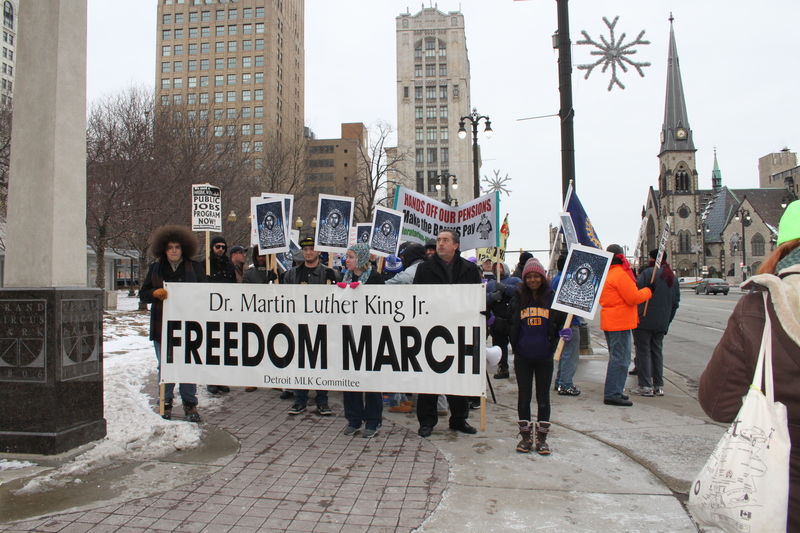 The 11th Annual MLK Day march and rally commemorating Freedom Summer 1964 was a huge success with hundreds in attendance. Thank you so much to these sponsors for making MLK Day 2014 possible. Great thanks go out to these awesome endorsers!